WHAT IS A PAUPER’S FUNERAL? So what happens to the bodies of many Australians who die with no next of kin or known identity? A funeral is an important time for family and friends to say goodbye to a loved one. When someone dies alone, the authorities will make every effort to trace and notify their next of kin, before making arrangements for a simple state-funded funeral. 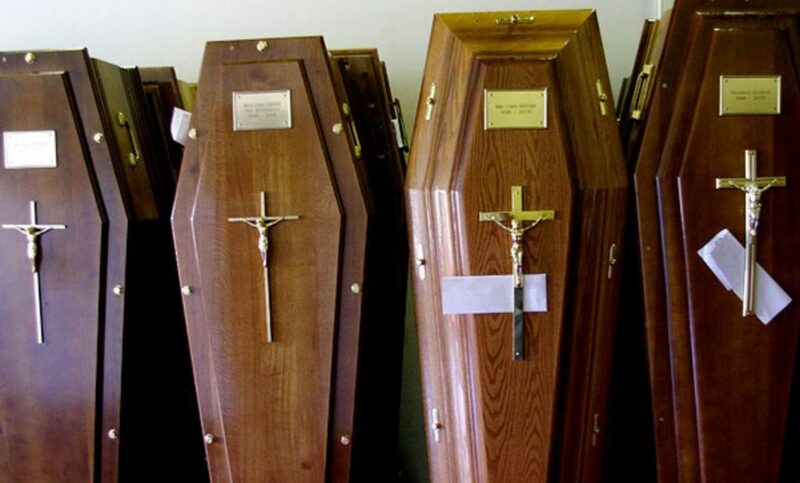 If a person had no family to claim them and had no money of their own, they will be laid in a coffin and given a simple cremation, or burial in a shared or common grave. Australian authorities have contracted funeral directors to arrange destitute funeral services on their behalf. The authorities do their best to keep families informed about the funeral details, so that they can attend and say goodbye to their loved one. Sometimes when they are traced, the relatives of the person who has died cannot cover the funeral costs. In other cases, they may have been estranged and do not wish to take responsibility for arranging the person’s funeral. In such cases, the state or a government contractor will make the funeral arrangements. State-funded funerals may also be arranged, when a baby is stillborn in hospital, after the 20th week of the mother’s pregnancy. When a person dies with no family or next of kin? When a person dies with no next of kin to claim them in a hospital, the hospital will arrange for their burial or cremation. Area health authorities may claim back funeral costs from someone’s estate, if it is found that the person who died left assets, or their next of kin could have met some, or all, of the costs. Sometimes, the authorities will call on the police to help them track down friends or relatives who may have been unaware of the person’s death and circumstances, and wish to arrange and pay for the funeral. Outside of the Northern Territory, most so-called pauper’s funerals take place at a crematorium, unless a coroner has advised otherwise, or the person expressed in a will, or to family and friends, that they did not wish to be cremated when they died. After the funeral, the plot number where the person, or their cremation ashes, are buried is noted for the public record, but these graves are generally left unmarked. Australia’s Department of Veterans’ Affairs helps towards the funeral expenses of an ex-service man or woman who dies in impoverished circumstances. In Queensland, funeral assistance may be available to families when they cannot pay for the funeral of a loved one and have not already begun making funeral arrangements of their own. The person must have died in Queensland, with no assets of their own to cover funeral costs. Queensland’s Department of Justice & Attorney-General oversees arrangements for a simple burial or cremation when a family applies for funeral assistance. In the Northern Territory, an application for a funeral service can be made to the Indigent Persons Funeral Scheme. Tasmania provides an Essential Care Funeral Package to people who die unclaimed by relatives and with no money to cover the cost of their own funeral. This program also arranges for people’s funeral, where relatives are unable to pay. It stresses that this is not an assistance package for people on low incomes, although some states do have means-tested support to help with funeral costs. In New South Wales, the public or area health services arrange for the cremation or burial of someone who has died destitute. In cases where families in difficult financial circumstances have already arranged and held a funeral for a loved one who died in similar hardship, they may be able to apply to Area Health Service for an ex-gratia (‘out of goodwill’) contribution to help with funeral costs. However, bereaved families cannot make an ex-gratia claim for a contribution from the state, if they were already offered a public health funeral service for their loved one and turned it down. Non-profit charity Bereavement Assistance provides funeral services for low-income people in Victoria, helping them meet the cost of a dignified funeral service and cremation where the alternative is a ‘pauper burial’ at state expense. In Western Australia the Bereavement Assistance Program provides assistance to WA residents who aren’t able to pay for the cost of a funeral. Similar to other state programs that help with funeral costs, applicants must also show that family are not able to meet the costs. In South Australia, a program called Funeral Assistance SA may help low-income families unable to cover a loved one’s funeral costs. Subject to meeting the program’s criteria, Funeral Assistance SA may cover the cost of full contract cremation funeral, including a funeral service and floral coffin tribute.